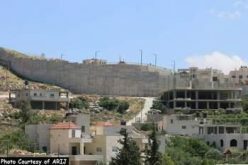 Israeli occupation forces began the basic infrastructure work for the Racist Wall in the village of Arab Al Ramadien located south the Governorate of Hebron. 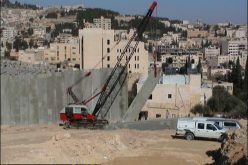 The initiation of the work came on the heels of the Israeli occupation authorities’ declaration in February 2008 of confiscating hundreds of dunums belonging to the village and the towns of Adh Dhahiriya and Dura for the purpose of constructing the Racist Wall. 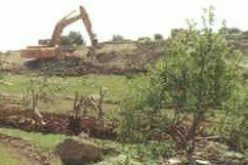 In Mid December, 2008 Israeli bulldozers arrived at Al Ramadien and started plowing the targeted lands as a prelude to the establishment of the Wall which is designed to annex the colony of Ashkolot as well as 4,000 dunums into Israel. Photo 1 & Photo 2: Israeli bulldozers plowing Palestinian lands in Al Ramadien. 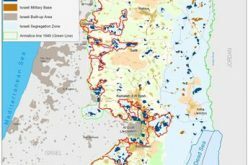 Al Ramadien residents indicated that Israeli occupation engineers came to the specified lands and placed marks with serial numbers as to function as a guide for the upcoming drilling and plowing in Palestinian lands for the purpose of establishing the Wall. Photo 3 & Photo 4: The marks placed by Israeli occupation engineers for construction of the Wall. 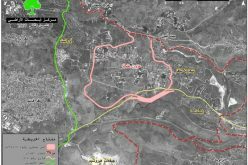 Upon the visit of LRC to the village of Al Ramadien, the Israeli bulldozers were witnessed plowing the lands under heavy protection from an Israeli private guarding company employed by the occupation forces. 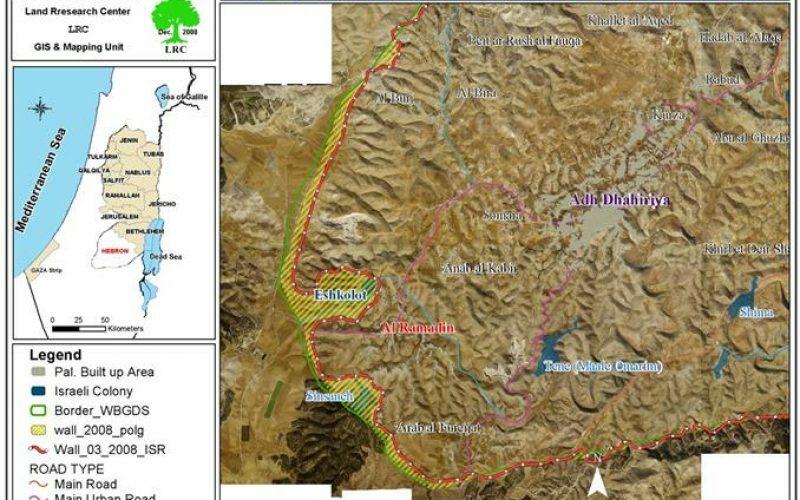 The first included starting the plowing from the eastern gate of the colony of Ashkolot and moving northwards towards what has become to be known as Wadi Al Tuff and Wadi Fattas. More than 1 kilometer has been plowed in the said area. 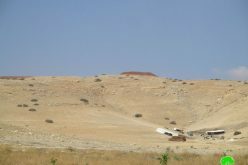 Photo 7: The lands that were plowed in Wadi Al Tuff and Fattas. The second axis started from the eastern gate of the colony and headed southwards towards the Negev. Around 1.5 kilometers were plowed so far. 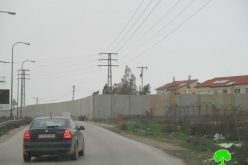 As for the nature of the Wall in the targeted area, it is expected that it will be made of a series of barbwires supplied with motion sensors. The new setup will be joined with the all ready existing Wall in the area.